Whywait Plumbing Services have been your local, reliable and professional Gold Coast plumber for over 41 years, since 1976. As your local Gold Coast Plumber, we have worked on numerous homes, townhouses and commercial buildings on the Gold Coast. We have also undertaken plumbing installations and repairs and emergency maintenance in many of the commercial buildings on the Gold Coast. There is no job too big or too small for the team at Whywait Plumbing, and with us you will experience professional service, reliability and honest pricing. Our pricing structure is simple, fair & saves you money. Rather than charging by the hour (so that you end up with a massive bill), we charge a small call out fee. Our plumber then investigates the problem and gives you a total upfront price. You are in control of the cost. 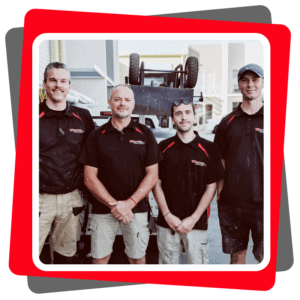 As local Gold Coast Plumbers we are able to provide a same day plumbing service attending to all plumbing maintenance, servicing, installation and emergency plumbing services. Our plumbing services stretch from Tweed to Logan. Wondering if we service your suburb? Simply search for your suburb below.